Why am I posting this again....? to win Melodies cake stands! Ahhhhhhh. I am soooo ridiculously excited! That is so exciting! Wow Ashley, you are doing great. 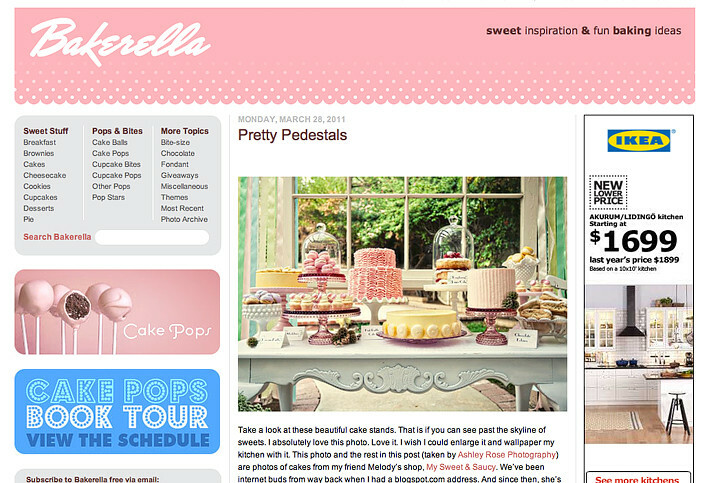 I love Bakerella!!! Ashley I've just discovered your blog and just thought I'd tell you how beautiful it is. The photos, the posts, the people. Just browsing through "the question" posts makes me happy! If only I didn't live all around the globe I would love for you to shoot my family or my parents.